Yann Faussurier, Sean Malley and Chuck Murphy. They’ve already released a huge number of productions and are now back on track with this new opus featuring 9 songs. 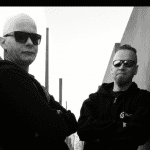 Content: iVardensphere moves on experimenting with harsh industrial bombast, tribal percussion and dark electronic sound sculptures. The opening cut features ethereal-like vocals by Mari Kattman. 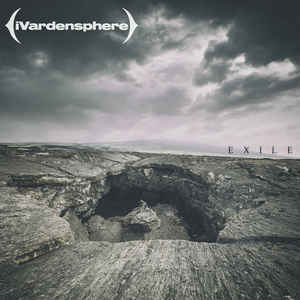 Quite progressively iVardensphere moves towards their familiar sound, which is also carried by a mind-blowing production. They here and then experiments with some funny ideas such as “Kagu-Tsuchi” featuring a kind of Asian-like tune. But the best part of the work comes at the end with astonishing cuts where the industrial-tribal element of the band comes really through. + + + : The main strength of this band is their sound, which is rather unique. iVardensphere has been linked with This Morn’Omina, which is a link I totally understand for their originality and industrial-tribal approach although they’re numerous differences as well between both bands. It just illustrates their creative approach and all the work they put in the percussions, and also in the global writing. The experiment with Mari Kattman also is a real interesting and successful song. But the best cuts are at the end. I refer to the blasting “War Dirge” and “Seven Gates”. – – – : “Exile” is quite diversified and that’s maybe why a few cuts are less convincing. I especially think to the previously mentioned “Kagu-Tsuchi”, which is maybe original, but still missing an apotheosis. “Thin Veil” is another cut, which can’t fully convince me. I’m not a huge fan of the furious and somewhat metal-sounding vocals running through this song. I definitely prefer the instrumental tracks of iVardensphere. Conclusion: iVardensphere became a recognized and praised name belonging to the wider fields of industrial music, but less related with most of the projects active in this scene. 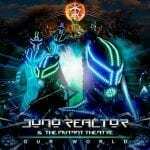 This new opus confirms their efficiency to compose something unique, which first of all remains a creative sonic osmosis between multiple influences. Best songs: “War Dirge”, “Seven Gates”, “Grounder”, “Icarus feat. Mari Kattman”, “Thin Veil”.